A powerful image loading and caching system. It makes simple tasks like loading images into views extremely simple, while also supporting advanced features for more demanding apps. Upgrading from the previous version? Use a Migration Guide. More information is available in Documentation directory and a full API Reference. When you are ready to install Nuke you can follow an Installation Guide - all major package managers are supported. You can load an image into an image view with a single line of code. Nuke will automatically load image data, decompress it in the background, store image in memory cache and display it. To learn more about the ImagePipeline see the dedicated section. When you request a new image for the view, the previous outstanding request gets canceled and the image is set to nil. The request also gets canceled automatically when the view is deallocated. Use an options parameter (ImageLoadingOptions) to customize the way images are loaded and displayed. You can provide a placeholder, select one of the built-in transitions or provide a custom one. When using transitions, be aware that UIKit may keep a reference to the image, preventing it from being removed for long animations or loading many transitions at once. There is a very common scenario when the placeholder (or the failure image) needs to be displayed with a content mode different from the one used for the loaded image. To make all image views in the app share the same behavior modify ImageLoadingOptions.shared. If ImageLoadingOptions are missing a feature that you need, please use ImagePipeline directly. If you think that everyone could benefit from this feature, PRs are welcome. Each request is represented by an ImageRequest struct. A request can be created either with URL or URLRequest. Resize an image using special ImageRequest initializer. // Target size is in pixels. Perform custom tranformation using processed(key:closure:) method. Her's how to create a circular avatar using Toucan. All those APIs are built on top of ImageProcessing protocol which you can also use to implement custom processors. Keep in mind that ImageProcessing also requires Equatable conformance which helps Nuke identify images in memory cache. Use ImagePipeline directly to load images without a view. Tasks can be used to monitor download progress, cancel the requests, and dynamically update download priority. Apart from using a shared ImagePipeline instance, you can create your own. Default Nuke's ImagePipeline has two cache layers. A custom LRU disk cache can be used for fast and reliable aggressive data caching (ignores HTTP cache control). You can enable it using pipeline's configuration. If you enable aggressive disk cache, make sure that you also disable native URL cache (see DataLoader), or you might end up storing the same image data twice. DataCache type implements public DataCaching protocol which can be used for implementing custom data caches. // Cancels all of the preheating tasks created for the given requests. // and store it in disk caches to be used later. To make sure that the prefetching requests don't interfere with normal requests it's best to reduce their priority. You can use Nuke in combination with Preheat library which automates preheating of content in UICollectionView and UITableView. On iOS 10.0 you might want to use new prefetching APIs provided by iOS instead. To use progressive image loading you need a pipeline with progressive decoding enabled. And that's it, you can start observing images as they are produced by the pipeline. The progress handler also works as a progressive image handler. See "Progressive Decoding" demo to see progressive JPEG in practice. Nuke extends UIImage with animatedImageData property. If you enable it by setting ImagePipeline.Configuration.isAnimatedImageDataEnabled to true the pipeline will start attaching original image data to the animated images (built-in decoder only supports GIFs for now). ImageCache takes animatedImageData into account when computing the cost of cached items. ImagePipeline doesn't apply processors to the images with animated data. There is no built-in way to render those images, but there are two integrations available: FLAnimatedImage and Gifu which are both fast and efficient. GIF is not the most efficient format for transferring and displaying animated images. The current best practice is to use short videos instead of GIFs (e.g. MP4, WebM). There is a PoC available in the demo project which uses Nuke to load, cache and display an MP4 video. WebP support is provided by Nuke WebP Plugin built by Ryo Kosuge. Please follow the intructions from the repo to install it. // Shared image cache with a `sizeLimit` equal to ~20% of available RAM. // by a `DataLoader` is used instead. // Each stage is executed on a dedicated queue with has its own limits. // Combine the requests for the same original image into one. Here's what happens when you call Nuke.loadImage(with: url, into: imageView method. First, Nuke synchronously checks if the image is available in the memory cache (pipeline.configuration.imageCache). If it's not, Nuke calls pipeline.loadImage(with: request) method. The pipeline also checks if the image is available in its memory cache, and if not, starts loading it. Before starting to load image data, the pipeline also checks whether there are any existing outstanding requests for the same image. If it finds one, no new requests are created. By default, the data is loaded using URLSession with a custom URLCache instance (see configuration above). The URLCache supports on-disk caching but it requires HTTP cache to be enabled. See Image Caching Guide to learn more. When the data is loaded the pipeline decodes the data (creates UIImage object from Data). Then it applies a default image processor - ImageDecompressor - to force data decompression in a background. The processed image is then stored in the memory cache and returned in the completion closure. When you create UIImage object form data, the data doesn't get decoded immediately. It's decoded the first time it's used - for example, when you display the image in an image view. Decoding is a resource-intensive operation, if you do it on the main thread you might see dropped frames, especially for image formats like JPEG. Warning: target size is in pixels! See Image and Graphics Best Practices to learn more about image decoding and downsampling. A built-in DataLoader class implements DataLoading protocol and uses URLSession to load image data. The data is cached on disk using a URLCache instance, which by default is initialized with a memory capacity of 0 MB (Nuke stores images in memory, not image data) and a disk capacity of 150 MB. The URLSession class natively supports the data, file, ftp, http, and https URL schemes. Image pipeline can be used with any of those schemes as well. Most developers either implement their own networking layer or use a third-party framework. Nuke supports both of those workflows. You can integrate your custom networking layer by implementing DataLoading protocol. Processed images which are ready to be displayed are stored in a fast in-memory cache (ImageCache). It uses LRU (least recently used) replacement algorithm and has a limit which prevents it from using more than ~20% of available RAM. As a good citizen, ImageCache automatically evicts images on memory warnings and removes most of the images when the application enters background. If the data task is terminated (either because of a failure or a cancelation) and the image was partially loaded, the next load will resume where it was left off. Resumable downloads require server to support HTTP Range Requests. Nuke supports both validators (ETag and Last-Modified). The resumable downloads are enabled by default. By default resumable data is stored in an efficient memory cache. Future versions might include more customization. By default ImagePipeline combines the requests for the same image (but can be different processors) into the same task. The task's priority is set to the highest priority of registered requests and gets updated when requests are added or removed to the task. The task only gets canceled when all the registered requests are. Deduplication can be disabled using ImagePipeline.Configuration. Performance is one of the key differentiating factors for Nuke. The framework is tuned to do as little work on the main thread as possible. It uses multiple optimizations techniques to achieve that: reducing number of allocations, reducing dynamic dispatch, backing some structs by reference typed storage to reduce ARC overhead, etc. Nuke is fully asynchronous and works great under stress. ImagePipeline schedules each of its stages on a dedicated queue. Each queue limits the number of concurrent tasks, respect request priorities even when moving between queue, and cancels the work as soon as possible. Under certain loads, ImagePipeline will also rate limit the requests to prevent trashing of the underlying systems. Another important performance characteristic is memory usage. Nuke uses a custom memory cache with LRU (least recently used) replacement algorithm. It has a limit which prevents it from using more than ~20% of available RAM. As a good citizen, ImageCache automatically evicts images on memory warnings and removes most of the images when the application enters background. There are a variety extensions available for Nuke some of which are built by the community. Nuke's roadmap is managed in Trello and is publically available. If you'd like to contribute, please feel free to create a PR. 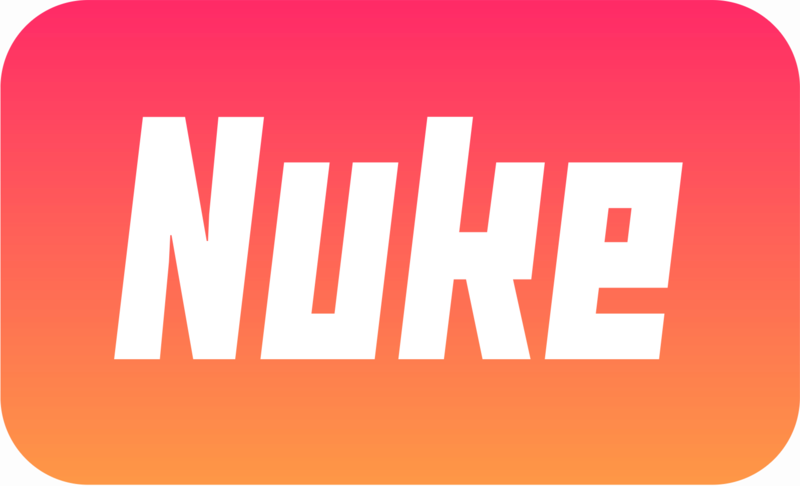 Nuke is available under the MIT license. See the LICENSE file for more info. Nuke 7 had a lot of API changes, to make the migration easier it shipped with Deprecated.swift file (536 line of code) which enabled Nuke 7 to be almost 100% source-compatible with Nuke 6. It's been 6 months since Nuke 7 release, so now it's finally a good time to remove all of this code. With all these removals, Nuke compiles up to 10% faster. Test coverage is at 93.35%.